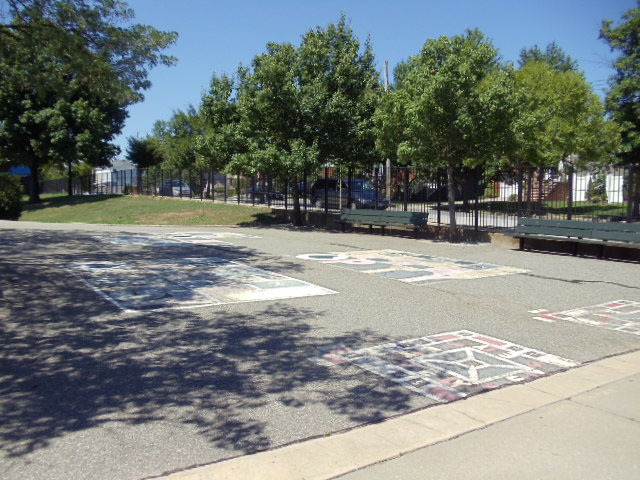 In 1997, Commissioner Stern changed this playground’s name from Koch Playground to Double Nickel Playground, a play on PS 55, the name of the neighboring school. The phrase “double nickel,” is also a colloquialism for the 55 miles-per-hour speed limit observed in much of the country; the “nickel” reference comes from the five cent worth of the coin. Modern nickels contain 25% nickel and 75% copper, but the first five-cent piece, minted in 1793, was called the half-dime. It contained 1/20 the amount of silver in the nation’s standard silver dollar, and was proportionally sized. As a result, original five-cent coins, which were half the size of modern dimes, were too small for convenient handling. In 1866, mint officials finally increased the size of the five-cent piece and changed the content from silver and copper to nickel and copper. The coins soon became known as nickels. Parks first acquired this property, at the corner of Preston Avenue, Koch Boulevard, Woods of Arden Road, and Osborne Street in 1962. The playground was opened to the public in 1969 and has been jointly operated by Parks and the Board of Education ever since. 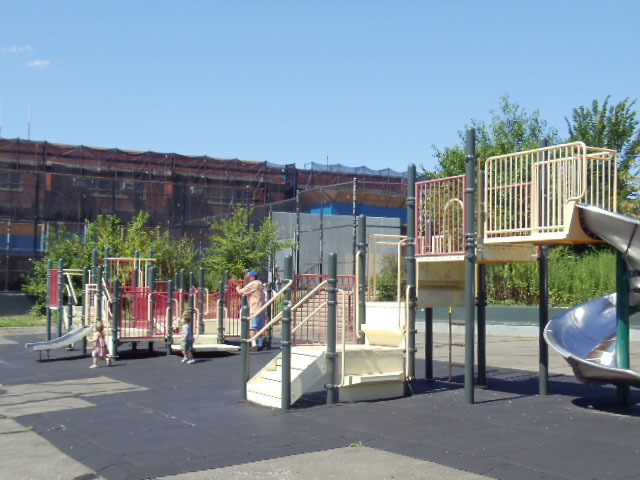 The site was chosen for the playground because city planners felt that the area would experience tremendous residential growth after the completion of the Verrazano-Narrows Bridge in 1964. Planners recognized that the soon-to-be residents would require facilities such as this one for recreational enjoyment. The original park included granite block tree pits, basketball courts, volleyball courts, handball courts, shuffleboard courts, play sculptures, climbing equipment, a comfort station, an amphitheater, a drinking fountain, and swings. A 1989 renovation removed some tables, benches, lights, swings, the drinking fountain, concrete sculptures, and the amphitheater. New benches, a new drinking fountain, and sculptures were installed in their place. 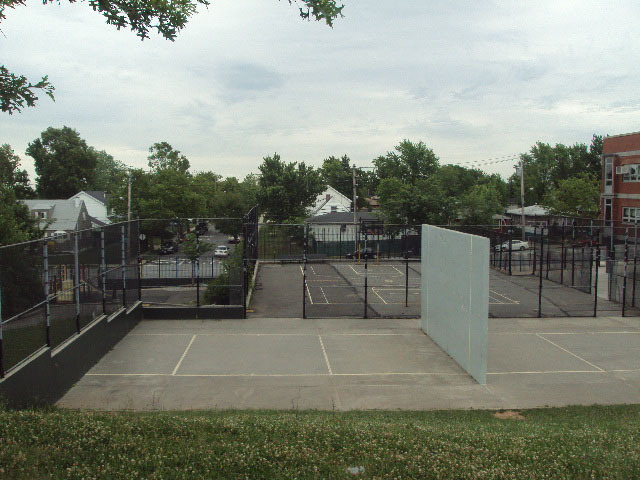 The basketball and handball courts were renovated as well. In 1996 Mayor Giuliani funded another renovation, at a cost of $79,897, for new play equipment with safety surfacing for children to enjoy. An intricate system of walkways and bridges overhung with honey locusts (Gleditsia triacanthos), cedars (Cedrus), oaks (Quercus), pines (Pinus), and sweetgums (Liquiddambar styracifluaconnects the various parts of the park. These byways flow from this park’s central mound, enhancing the communal sense of this urban escape.